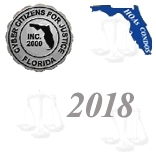 On Tuesday, January 30, 2018 Barbara Stage and I made the 4-hour trip to Tallahassee in order to talk to some of the legislators involved in enacting community association bills. We made an appearance in front of the Senate Committee on Regulated Industries where SB 1274 (companion bill to HB 841) was on the agenda. 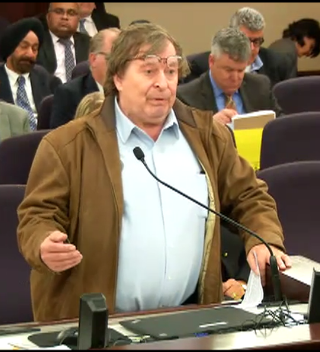 Senator Passidomo made a nice presentation of the bill -- a bill that is in desperate need of some changes to the wording in order to really clarify some provisions of flaws created by last years Condo Reform Bill HB 1237. Some of the wording in this bill is doing nothing to clarify. The bill needs changes regards to recall, e-mail communication among board members (if allowed these e-mails need to be public record) and conflict of interest situation if attorney represents association and management company. But my main concern is the total lack of enforcement. I told the Senators that the Division of Florida Condominiums and Mobile Homes is "about as useless as a pimple." Paying the Division is a total waste of money. The leadership of this Division has to go and be replaced by knowledgeable folks willing to work for their money. Every year Florida legislators add more provisions to the community association laws, but without proper enforcement the best bills are absolutely useless. Serious changes are desperately needed and for the next session a bill has to be enacted that creates a "real" enforcement agency and adds homeowner's associations to the jurisdiction of this regulatory agency. How good is the best law if the owner has to have minimum $50,0000.00 (?) to pay for an attorney to enforce the laws in court. Please watch the video to listen to my comments to the committee members. Jan Bergemann speaks in front of the Senate Committee of Regulated Industries. It was very interesting to see that most of the other lobbyists present at the committee hearing waived their right to speak being in favor of the bill, despite the fact that they have similar concerns about the wording of the bill. Barbara Stage talked mainly about the recall problems -- caused by the confusing language created by the "unfortunate" language in last year's Condo Reform Bill. The real problem: The language in this bill supposed to clarify the recall provisions has even more flaws. The language as written would allow a board to reject a recall using "lack of facial value" as a reason not to certify the recall, but then doesn't even allow the "Owners Voting for Recall" to file for arbitration. Barbara Stage was the attorney representing the owners in the first condo recall case after the new bill was enacted in July of 2017. Many of us remember that the chief arbitrator James Earl refused to arbitrate the case [Sunbrook Condominium Association, Inc. v Unit Owners Voting for Recall] and was fired shortly thereafter. Barbara asks the Senators to please replace the existing language and replace it with language that guarantees a fair solution to a recall of the board -- with a final ruling within a reasonable time-frame. If the phrase "facially valid" are the magic words in a recall, it is of utmost importance to have a detailed explanation what "facially valid" really means. The original "recall language" added to the laws in 2004 worked great in the first few years until some arbitrators felt that they had to read "between the lines" and made a mess out of the recall process. A process that was supposed to be a simple issue of valid numbers turned into legal nightmares that often lasted for many months. 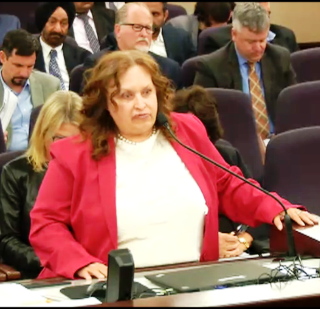 Barbara Stage, Esq., speaks in front of the Senate Committee of Regulated Industries. After the hearing there was a little informal "conference" outside the committee meeting room. All the folks involved in community association bills discussed the issues of the bill and more or less agreed that changes to the wording are imperative. I especially liked talking again to Bill Sklar, who was the chairman of the HOA TASK FORCE in 2003/2004. He now lobbies for the Real Estate section of the Florida Bar. I was pleased to hear that they are in favor of creating a regulatory agency for HOAs, with only a $2-charge for all community association members, if the Division undergoes serious changes. In a meeting with Senator Kathleen Passidomo we discussed the necessary changes to the wording of provisions in SB 1274 -- and found an open ear with the Senator, not only for our ideas in regards to the needed changes, but as well for supporting a big HOA bill next including the creation of a regulatory agency. We met with Senator Dennis Baxley (R-Ocala) who is very familiar with HOA problems. Over the years many of his constituents have complained to him about serious -- even fraudulent problems in their HOAs. His HOA bill, SB 734, didn't get a hearing this year, but he will file an all inclusive HOA bill for next year's session. He asked us to help getting this bill running starting in summer, to have a bill draft ready to circulate among the legislators to make sure that we have the support of other influential legislators. Thank you Senator Dennis Baxley! 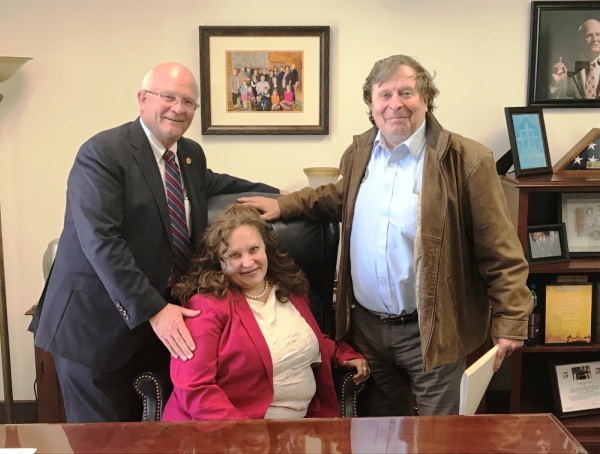 In the late afternoon we met with Kassie Satterly, the legislative aid of Representative Moraitis, since the Representative was in another committee meeting. We explained the problems of the wording and asked her to forward our concerns -- we followed up with written explanations -- to the Representative. The way the bill is worded in the moment would actually confuse the issues even more instead of clarifying last year's changes -- as was the explanation for this bill. 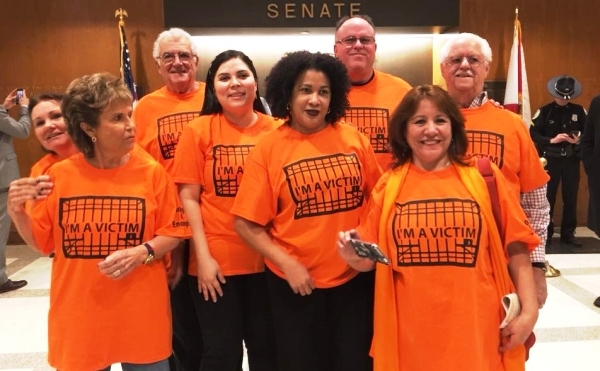 On Wednesday Barbara and I got the support from the representatives of the "LAS NARANJITAS" (orange shirts) who made it all up to Tallahassee from Miami. This group -- lobbying for Condo Reform under the slogan "STOPCONDOABUSE" -- was a main advocate for last year's Condo Reform Bill. The Miami Group "STOPCONDOABUSE" posed in front of the entrance to the Senate floor for a group picture. We met with various legislators and/or legislative aids before we made our way home back to Central Florida. I consider it a pretty successful trip with lots of good discussions with legislators -- thanks to the great work of our lobbyist Richard Pinsky from Akerman LLP, who made very helpful appointments and other arrangements. Thank you Richard! Time will tell if the legislators involved are willing to listen to our proposals -- but we will definitely work hard on preparing a HOA bill which Senator Baxley has promised to sponsor! One thing is sure: A trip to Tallahassee is always "INTERESTING"!